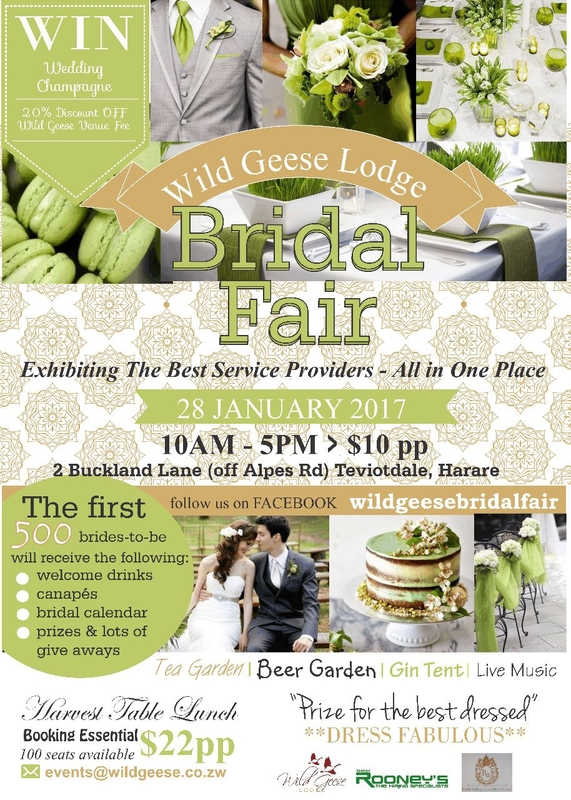 Bespoke Weddings & Wild Geese bring you a Bridal Extravaganza bringing the very best of what Zimbabwe has to offer of Service Provider's in the Wedding Industry. Guests can look forward upon arrival to a fabulous Welcome Drink and Canape's, browse and gather information and inspiration for your perfect day! We encourage Bride's and Groom's, Bridesmaid's, Mum's and Dad's, friends and those who just love beautiful things to join us. 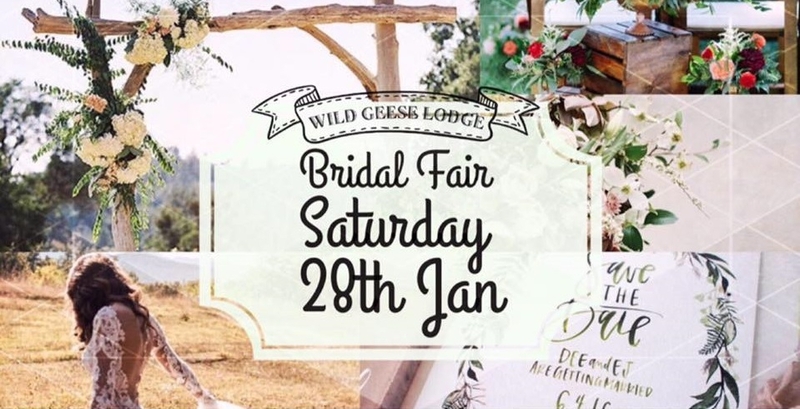 A Fabulous Tea Garden and Craft Beer Garden with Live Music and a Harvest Table Lunch to follow, Please book ahead for the Harvest Table with Wild Geese, how fabulous and unique to include your Bridal Party in your Wedding Day planning, all while having fun! On offer, Wedding Co-ordinator's, Decor Specialists, Jeweler's, Bridal Attire, Make-Up Artist's, Hair Stylist's, Wedding Cake Specialist's, Stationary Specialist's, Videographer's, Photo Booth Specialist's, Wedding Car's, Honeymoon Specialist's. An exclusive, special day is planned for your enjoyment with some fabulous Giveaway's and exciting offer's. Join us for an unparalleled day of glamour and delight with Wedding Gowns, Dazzling Wedding Shoes, Wedding Stationery, Jewellery,Floristry and Decor, Wedding Cake's, Canape's and Wine Tasting and Artisinal Craft Beers and Live Music and much more besides.